Some recipes require that you start preparing them on the stove, then finish the cooking in the oven. An ovenproof skillet makes this cooking technique simple since you don't have to transfer the food from one dish to another. Choose an ovenproof skillet that is best suited to the types of dishes you like to prepare. Cast iron skillets are useful on the stove top or in the oven. Ovenproof skillets can be made of a wide variety of materials, such as cast iron, copper, aluminum or a combination of different materials. Ovenproof skillets are typically labeled as such when you purchase them and will likely say something like "ovenproof to 425 degrees" or "safe for broiling." Many cooks enjoy working with nonstick skillets because they are easy to clean and prevent the food from sticking. 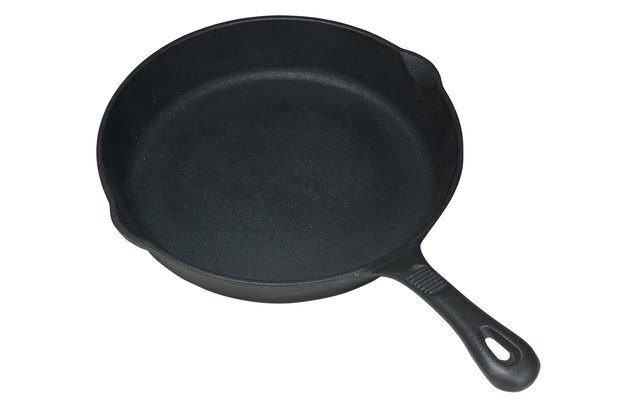 Some ovenproof skillets are made with a nonstick coating, but make sure the skillet is specifically labeled as such before placing it in the oven. Nonstick coatings often have to be treated gently and could melt or become damaged at high temperatures. 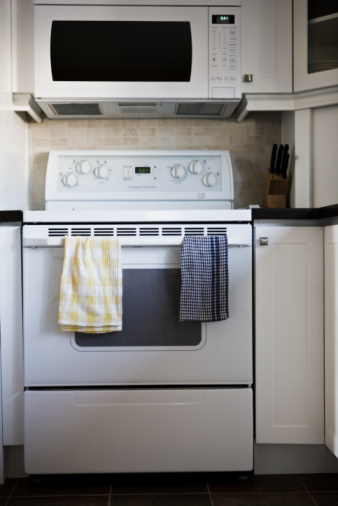 Even if the nonstick skillet can handle the high heat of an oven's interior, you likely shouldn't use it for broiling. Do not assume that a skillet made of a certain material is safe for your oven. While the actual skillet might be fine inside the oven, its handle or lid may not. Skillets equipped with wooden or plastic handles are not appropriate for usage in the oven. Likewise, the skillet's lid may not be ovenproof, even if the skillet is. Always use caution. Many recipes can be enhanced by using an ovenproof skillet. For example, start your breakfast fritatta by sauteing vegetables and meats on the stove top, then add your eggs and finish by baking it in the oven. Sear a steak, a piece of fish or another type of meat at high heat on the stove top, then finish roasting it in the oven. Is a Granite Ware Stock Pot Safe for the Oven?